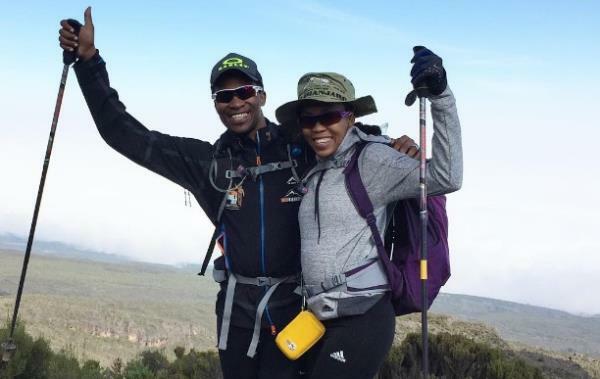 Letshego Zulu summited Kilimanjaro on Tuesday, this being exactly one year since her her husband Gugu Zulu died while trying to climb the very same mountain. 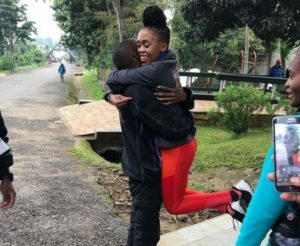 She joined this year's Trek 4 Mandela group that hikes Mount Kilimanjaro, so that she could honor her husbands late Gugu Zulu's memory. “I want to honor my husband and I’m going back in memory of him. I know it is what he would have wanted‚” she said. She made it to the top of the mountain and has been praised for her courage and strength by one of the organisers of the Trek, Gerry Elsdon. "Congratulations, darling girl, on reaching the highest summit in Africa. The determination and strength with which you arrived at Kilimanjaro gave me great assurance that you were ready to return to the mountain. But it's the peace, calm and the bible in your backpack that gave me confidence in your success," she wrote in her post to Letshego.